If you’re updating your print marketing campaign to improve reach and influence, good graphic design is key. A brochure, plastic mailer, or roll-up banner that does not immediately catch your audience’s attention is unlikely to make a positive impact on your branding and marketing efforts. Here are 6 current graphic design trends that help optimize your printing in St. Louis and ensure your printed content stands out from its competition. While the last few years saw an increasing movement toward graphic elements that suggested depth, from 3D design to drop shadows, that movement is beginning to reverse itself. Especially in the digital realm, so-called flat design is making a comeback so strong that it has quickly become the new-old norm. The idea behind flat design is relatively simple: flat design is more versatile, allowing for easier integration of multiple images and illustrations along with typography. Print marketers have not yet fully embraced the same concept, giving flat design an additional advantage in this realm. Through purposefully avoiding illusions of depth, your printed piece will stand out from competitors who are still using drop shadows and false perspectives. Speaking of typography: what you know as headlines and bold sub headers are quickly becoming graphic elements on their own rights. Rather than standing out as text on a graphic background, increasing numbers of designers are integrating typography as part of the graphic itself. Why? Doing so can maximize space and increase internal consistency of the design. Especially on printed materials with limited space, such as postcards or loyalty cards, this trend can turn into a crucial advantage. Think about it: the front of a postcard should include both compelling visuals and at least some text that lets your audience know the core of your message—just what the postcard itself is about. If you can combine the two into one by turning your typography into a graphic element, you not only integrate the design and text, but also maximize your limited available space. This trend is particularly interesting (and potentially helpful) to print marketers looking for ways to succeed in crowded competitive environments. Seemingly since the beginning of time, images have played an important part in graphic design in any medium. But while photography is not going away anytime soon, an unlikely competitor has emerged in vying for the main attention getter: custom illustrations. In fact, the ubiquity of photo images in print marketing may have led to this development. Because everyone uses photography to showcase their brand, savvy marketers began to look for ways that would help their printed pieces stand out from the competition. Illustrations, which can range from product drawings to symbols and logos, allow your brand to do just that. Their advantage is the unexpectedness factor, catching your audience by surprise. In addition, they lend your product or service a more custom feel that stock images cannot recreate. In their quest to maximize space, graphic-design beginners tend to fill up the available space with as many graphic elements as possible. Experts, on the other hand, are quick to point out the value of whitespace. Whitespace, of course, is a part of your printed piece with no design element or text whatsoever. Many graphic designers use it strategically, to draw attention to the most important elements on the page—the headline or featured graphic. But recently, whitespace has become even more important in print graphic design, thanks to another emerging trend: simplicity. Rather than overcrowding your piece, keeping things simple can surprise and delight an audience that accustomed to promotional materials that cram as much information as possible into a brochure or postcard. Whitespace, as a result, can actually help get your audience’s attention. Perhaps no better examples of the effective use of whitespace is VW’s iconic Think Small campaign. Imagine this ad in a magazine surrounded by flashy color photography, and it’s easy to see just how simplicity can work in your favor. The same concept is easily transferable to banners, postcards, and other promotional print materials. Marketers who still consider print and digital marketing to be separate entities have to reconsider their strategy. Your audience expects materials they receive in the mail or see at a trade show match the website or social media post they see when surfing the web. As a result, you should be absolutely sure that your print and digital graphic designs follow a coherent theme and clearly establish your brand identity. Take care to use the same fonts, the same colors, and the same types of graphics in both your print and digital marketing to achieve the best possible results. Color, of course, deserves consideration in its own right. Research has found that more than 90% of snap decisions about a brand are made based on color alone. It’s why you should take special care in determining which colors will represent your brand. Different colors convey different emotions and feelings. Although these feelings also depend on your personal experience, we can say one thing for sure: when choosing the right colors for your brand, it pays to be bold. As Pantone’s yearly color review reveals, bold colors are more popular than ever. They help your company stand out and convey confidence in your product or service. 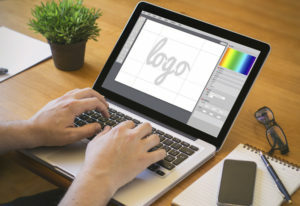 Does your graphic design incorporate these current trends? If not, it may be time to give it a second look. In the crowded world of print marketing, effectively designed pieces can make the difference between getting lost in the competition or standing out from the crowd.